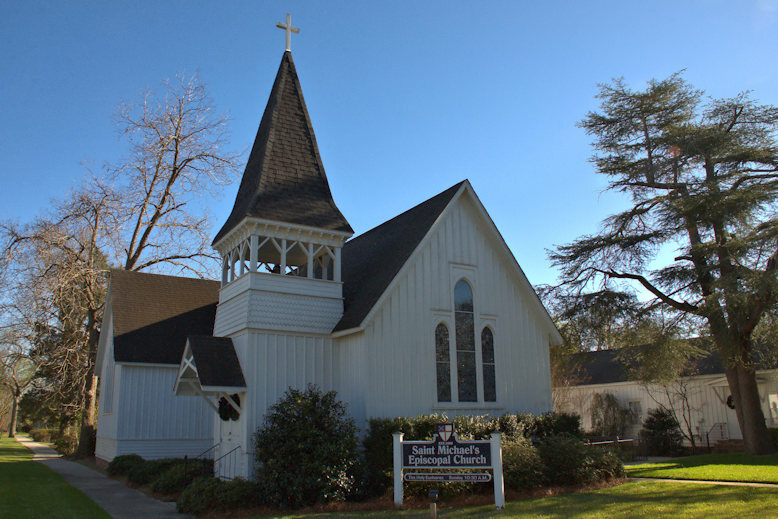 The congregation was founded in 1889 and the church built in 1895. 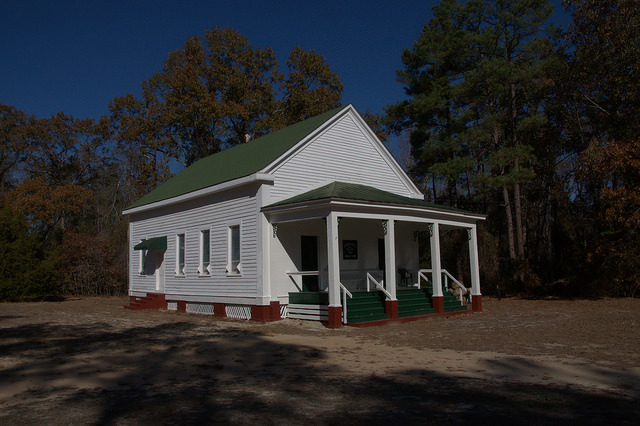 Bark Camp Baptist, the 7th oldest Baptist church in Georgia, sprang from one of the oldest communities in Burke County. 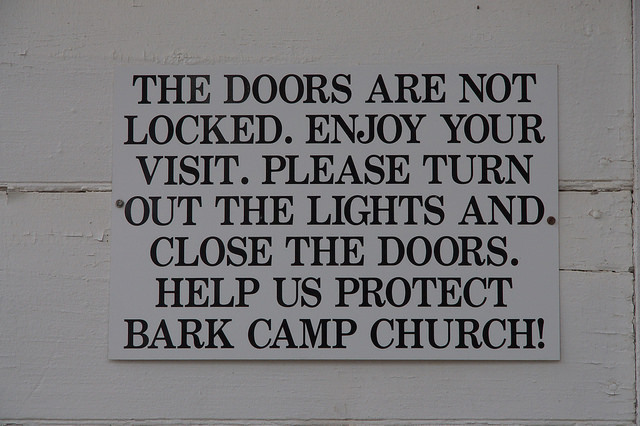 Bark Camp was named for the lean-to housing built by early cattlemen. 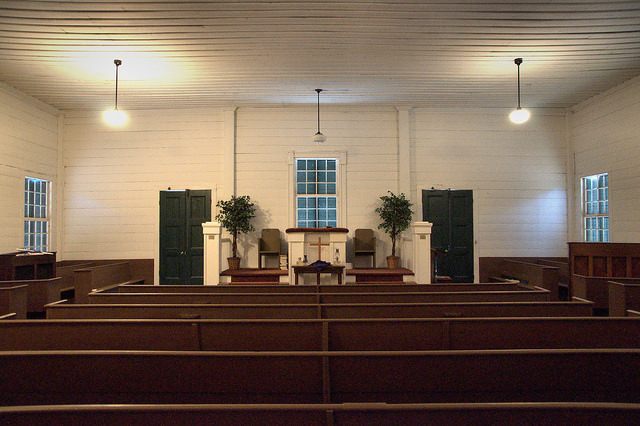 The congregation was established around 1788, and the first of three structures preceding this one was built soon thereafter. 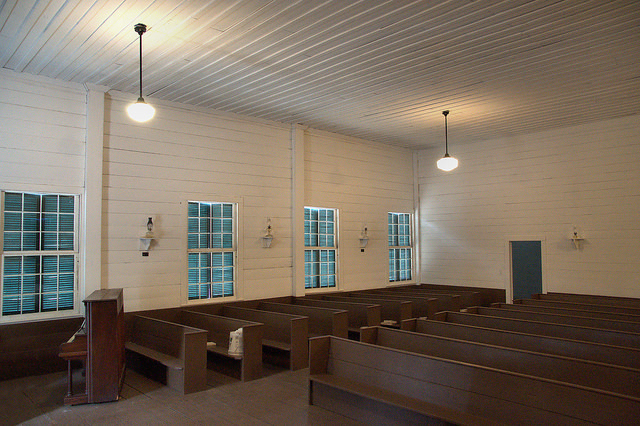 The present church is a vernacular interpretation of the Greek Revival and wonderfully executed. When you approach this historic building, you’ll notice this sign. In a time when churches are kept locked, it’s so refreshing to see that the stewards of this wonderful place want to share it with others. Once inside, you can’t help but be drawn into its history. 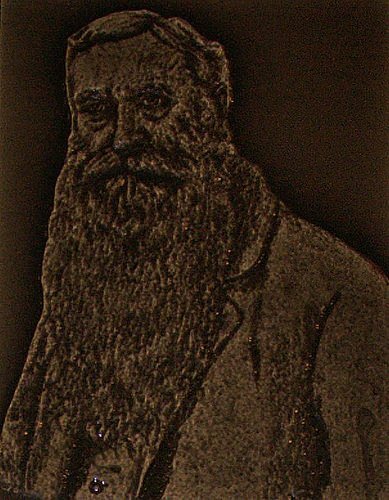 A plaque placed by Jerry A. Maddox in 2005 notes that the prominent Methodist missionary, Dr. John Young Allen (below), preached here on 30 June 1878. A Burke County native, Dr. Allen served as missionary to China from 1860-1907, was a President of the Anglo-Chinese College in Shanghai, founded a home and school for girls, and founded and published Review of the Times (Wanguo Bangbao), the most influential Chinese periodical of the 19th century. 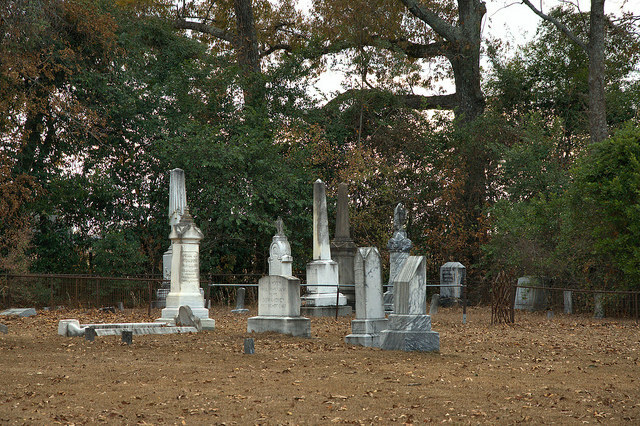 Many Burke County pioneers are buried in the cemetery adjacent to the church. This old vernacular church. 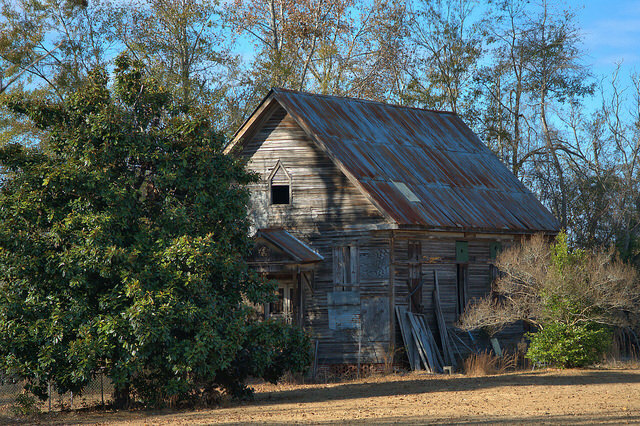 likely from the turn of the last century, is located on private property but can be seen from the road. 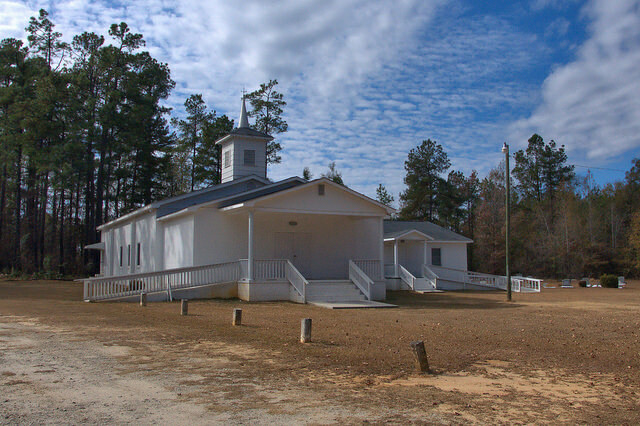 Like many older African-American congregations, St. Clair Missionary Baptist utilizes a new church building but retains an older facility on the property (below). Note the baptismal pool to the right. 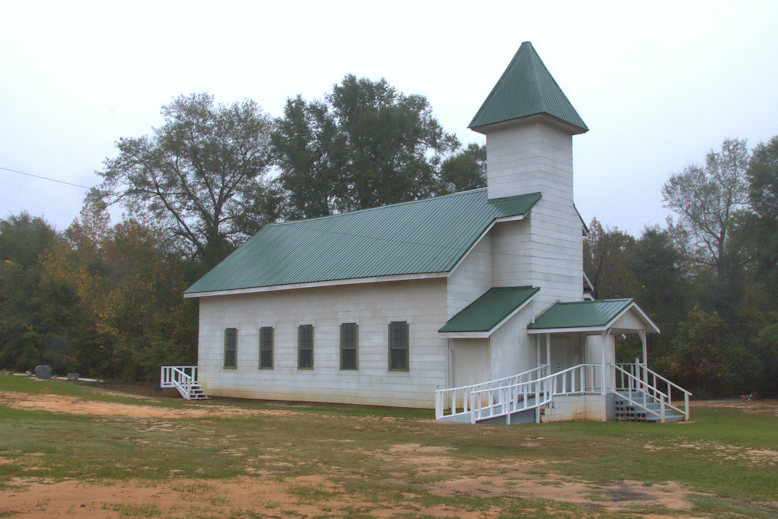 This is one of the best maintained and neatest little country churches I’ve ever seen in Georgia. 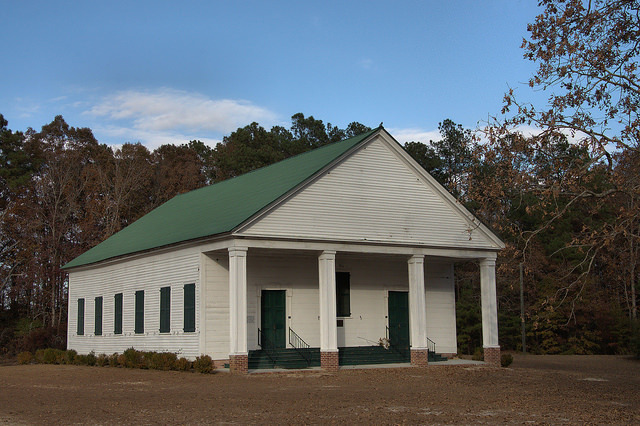 It was built by Charles Clark as a plantation church to serve the spiritual needs of his large family. He was married twice and had 25 children. 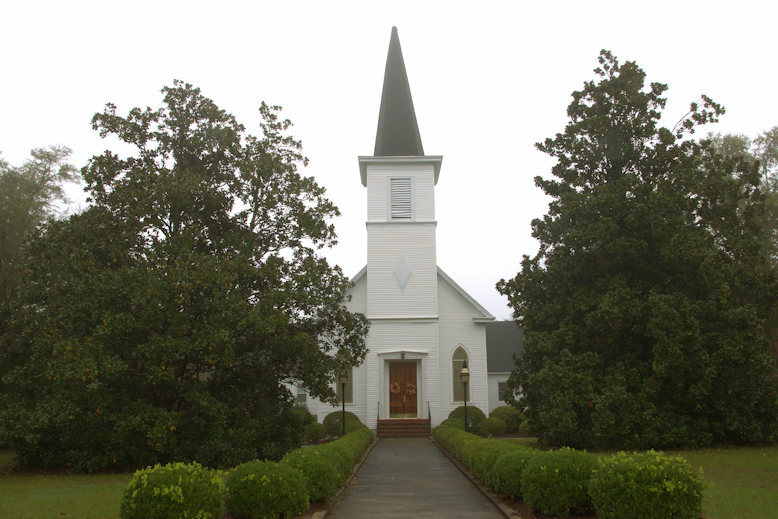 The Methodist Episcopal affiliation came in 1878, as the family spread out and left the plantation, but they resumed care for it in the late 1970s, after membership dwindled. 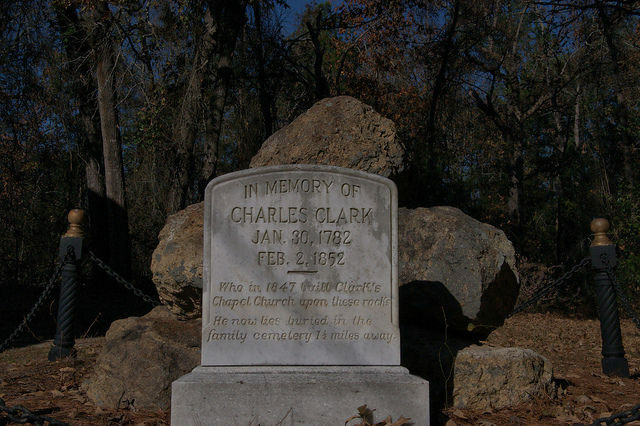 Charles Clark came to Savannah from Westfield, New Jersey in 1802 and married his first wife, Eleanor Carswell, there. 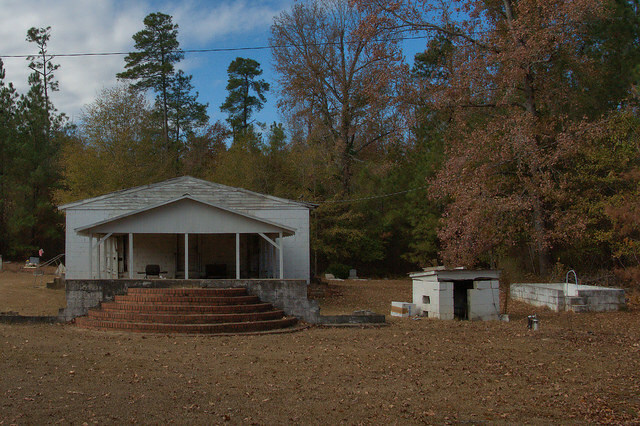 As his interests in agriculture grew, they acquired plantation lands in Burke County and resettled here. Upon Eleanor’s death in 1826, Clark married Sarah Murphey. 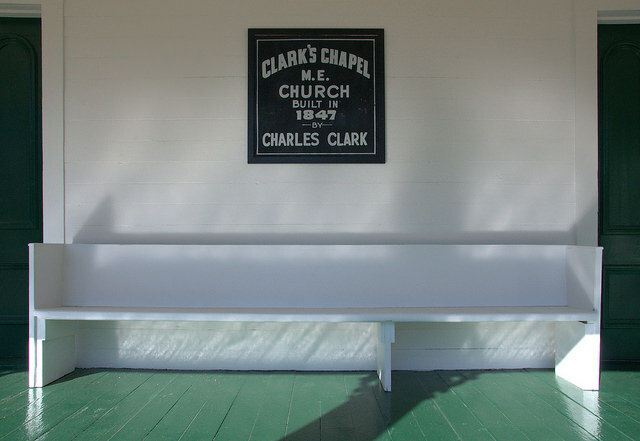 A memorial outside the church reads: In Memory of Charles Clark (Jan. 30, 1782 – Feb. 2, 1852) Who in 1847 built Clark’s Chapel Church upon these rocks. He now lies buried in the family cemetery 1 1/2 miles away.